To keep up with the ever-evolving landscape of digital marketing, our learning has to move just as fast. We decided to compile a list of our favourite go-to learning resources for anything marketing, design, or tech related in the industry in order to help accelerate your skills for success. If you are connected to the marketing world in any way, shape, or form, you know that it moves fast. Almost too fast, sometimes. In order to keep up with the ever-changing marketing ecosystem, we make it a strong point to continue our learning about design, marketing, technology, and more in order to not only keep up with the trends, but help shape them. We compiled this list of our top learning resources that we use across Inbox Marketer in the hopes of you, the reader, being able to accelerate your learning and achieve success within your field. Skillshare offers over 21’000 classes in technology, business, creative arts and more to help you stay ahead of the curve when it comes to your field. Whether it’s graphic design, UI/UX design, accounting, entrepreneurship, web development or even culinary arts, Skillshare has a class for it. 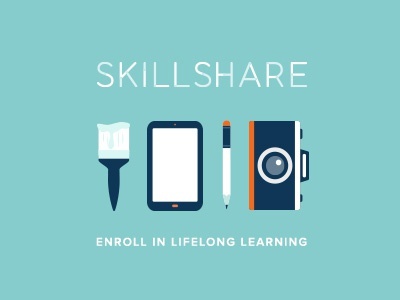 Skillshare also encourages users to connect with peers and share newly learned skills/insights through projects, workshops and more. We think of Skillshare as less of a platform and more of a community. Note: We love that Skillshare classes are also available on mobile for wherever we can squeeze in our learning: the bus, the lunchroom, the park. 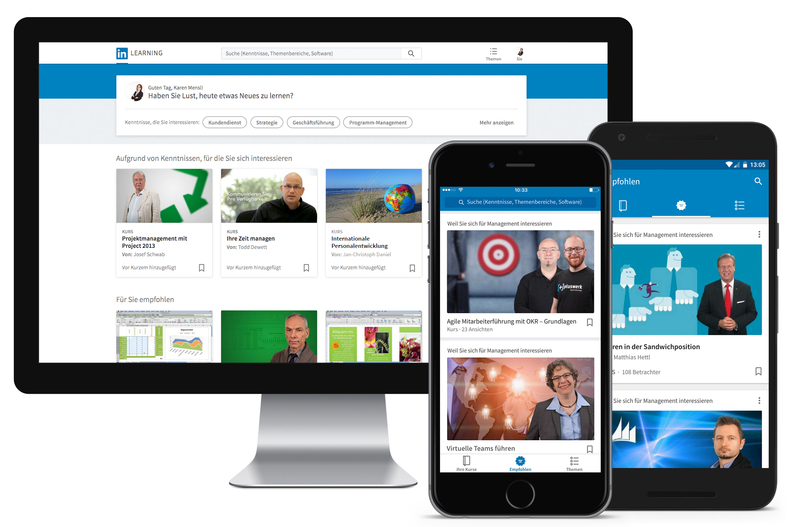 LinkedIn has over 562 million users in more than 200 countries and territories worldwide: as the world’s largest online professional network, it’s a no-brainer to have an associated learning platform taught by some of the best instructors in the world. Similar to SkillShare, LinkedIn Learning categorizes its courses by Business, Creative and Technology; the main difference being the course structures and how LinkedIn specifically offers Subject learning, Software learning, and more general learning paths within each category. Thus, if you are searching to hone in on a specific program like Adobe Illustrator or learn more about SQL, there are sub-categories devoted to those specifically in LinkedIn Learning. We constantly find ourselves going back to the Data Science, Web Development and Marketing tabs - which ones are your favourite? Note: Lynda.com was one of our favourite resources as well; it turns out all of Lynda.com’s classes are now available on LinkedIn Learning, combined with LinkedIn Insights. If you are a creative individual, this site is for you. With over 1’500 classes taught by 650+ leading experts in the fields of photography, videography, art and design, Creative Live has amassed over 10 million students worldwide - and for good reason. Classes are engaging, interesting, and cover the topics creative individuals truly want to dig into. From general topics on the current culture of design thinking all the way to specifics like how to create anchor points with the Pen Tool in Illustrator, Creative Live has a course or module for it. Note: On Air classes are always free to access: if you want to get an idea of what courses are like, this is a perfect trial to determine what works best for your needs and learning style. Do you want to study the business of design? Or the design of business? In either case, The Futur provides extensive, in-depth content which marries the two fields perfectly: their mission is to empower one million creative entrepreneurs to establish successful, sustainable and fulfilling businesses. 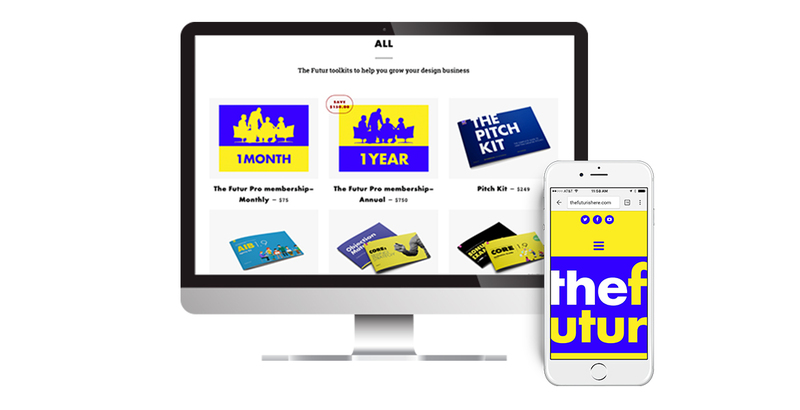 The Futur doesn’t just provide courses on design, photography, and other design-related disciplines, but also offers free templates and guides on proposals, business plans, pitch decks, and more specific to the business world for creatives, agency owners and freelancers alike. What are your favourite learning platforms to advance your skills? Can you think of any definitions to add to this list? For more information on the terminology listed above or ways we can serve your needs, contact us.